Annapurna short trekking called “Royal Trek” in honor of the Prince of Charles, who trekked this route in 1981. The Royal Trek is a 3 or 4 day trek beginning of the lake valley of Pokhara with panoramic views of the Annapurna massif and the Manaslu Himal. Royal trekking basically for the beginners or those looks for an exciting trek both magnificent mountains and mountain village life within a short period of time. Royal trek is easy and short trek with occasional up and downhill hikes along the ridges and valleys. There is also no need to worry about altitude and acclimatization as the maximum ascent on this trek is Chisapani at 1260 meters. Moreover, you can also combine the trek with a cultural tour of Kathmandu, Pokhara & Chitwan and get in a nutshell the thrills of Nepal’s diverse ecological beauty. 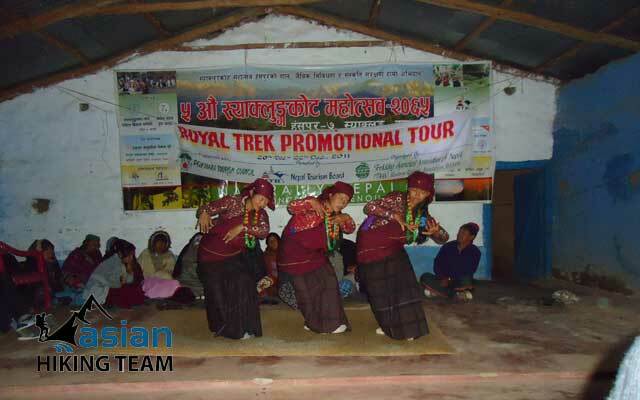 Royal trek follows a shrub like path on the north or Pokhara along the foothills of Annapurna. Start of Kalikastan ridge, about 25 km from Pokhara, and pass through the indigenous Gurung hamlets. Hike the terraced farmlands as and savor the unfolding views of the magnificent Annapurna range, Machhapuchhare or the "Fishtail" and the Langtang Mountains. Conclude the trek at the Begnas Lake, about 30 km west of Pokhara City. There is possible basic tea house or local home stay. You can do trek full board camping as well. 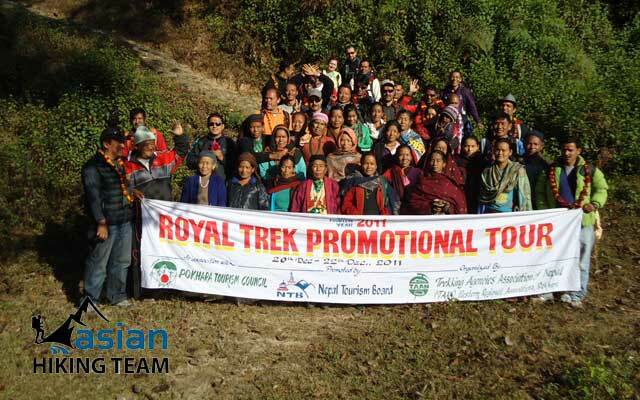 We organize the Royal trek as your interest. Day 01: Drive from Kathmandu to Pokhara (900m), 6 hours or flight, Overnight in Pokhara at Hotel. Day 02: Pokhara to Kalikasthan (1,370m/4,496ft), drive and trekking, 4/5 hours, Overnight Tea house/ home stay/ Camp. Day 03: Kalikasthan to Syaklung (1,730m/5,675ft), 4/5 hours trekking, Overnight Tea house/Camp. Day 04: Syaklung to Chisapani (1550m/5,084ft), 4/5 house, overnight Camp/Tea house. Day 05: Chisapani to Pokhara, trek and drive 5 hours, Overnight Hotel. Day 06: Pokhara to Kathmandu by tourist bus, 6 hours drive, overnight Hotel. Kathmandu to Pokhara and Pokhara to Kathmandu by A/C Tourist bus. Pokhara to Kalikasthan and Begnath Tal to Pokhara by private Car/Jeep/Bus. Two nights' Accommodation with breakfast in Pokhara (2-3 star hotel). Major Meals; Breakfast, Lunch and Dinner by Tea house/Hotel menu during the trekking. Accommodation during the trekking as best available Tea house / Lodge / home stay /Hotel. Trekking Equipment such as Sleeping Bag (if needed as clients request). Lunch, Dinner in Pokhara and on the way to/from Pokhara. With a morning wake up guide will pick up you and transfer to the tourist bus station and drive (approximately six hours with breaks) through the beautiful river view & Nepalese countryside to reach the Pokhara lakeside and transfer to the hotel and rest of the time explore the surrounding lakeside areas and overnight at hotel. Day 02: Pokhara to Kalikasthan (1,370m/4,496ft), drive and trekking, 4/5 hours, Overnight Tea house/ Camp. Today, after breakfast drive to Bijayapur Khola(trek starting point) and begin our trek. Initially we start our walk for about an hour through flat paddy fields and cross the river. After crossing the river the trail starts to ascend to Kalikasthan. Lunch will be served midway through the climb. After arriving at Kalikasthan, we rest for some time and after that explore the surrounding areas and overnight at tea house/Camp. After breakfast we start walking through the villages. We walk along the ridge of the mountain with good views of Annapurna and Lamjung Himal. Today we can explore many villages and the rhododendron forests. Overnight at Syaklung at tea house/ Camp. Walk through the Gurung village, rhododendron and Sal forest. Half way through the walk there is a 400m descent, then a 600m ascent to arrive at Chisapani. This is the best view point at which to see the Himalayan Panorama. 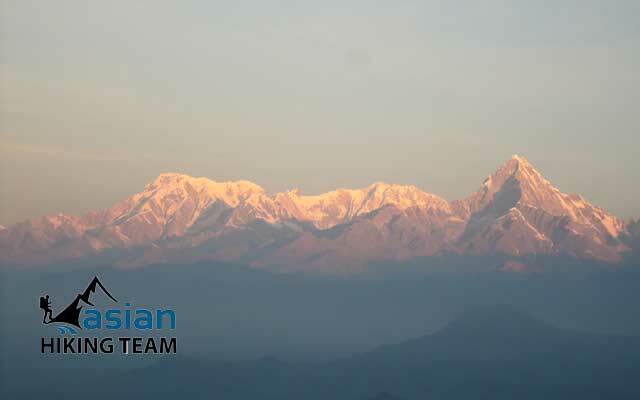 You will see Dhaulagiri to the west of Annapurna, overnight in tea house or Camp. Today we walk half way down the hill to Rupatal and climb about 200 meters to arrive at Sundare Danda. 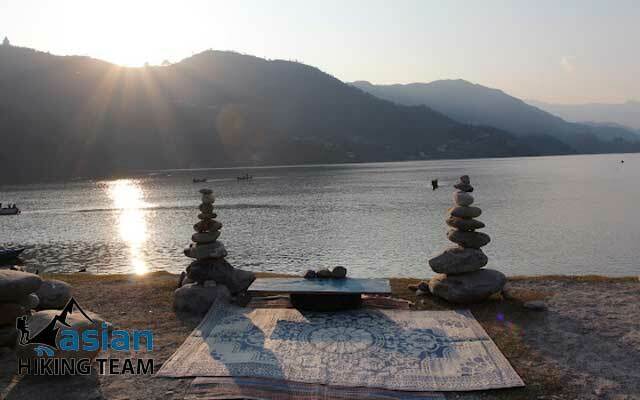 Walk 15 minutes down to Begnas Tal for an hour boating to catch the transfer to Pokhara and on arrival at hotel check in and rest of the time explore the lake side and overnight at hotel. Early morning Travel from Pokhara by tourist bus drive 200km, 6 hours, relax or shopping.